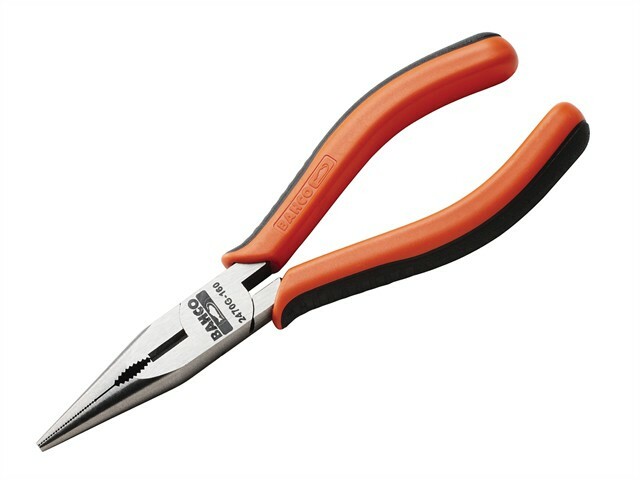 The Bahco Parallel Snipe Nose Pliers are made from high performance alloyed steel with a polished and lacquered finish for increased rust protection. Fitted with two component handles. The jaws have a slim semi-circular shape with serrated contact surfaces. The cutting edge is suitable for severing soft material such as copper and plastic insulated wire.